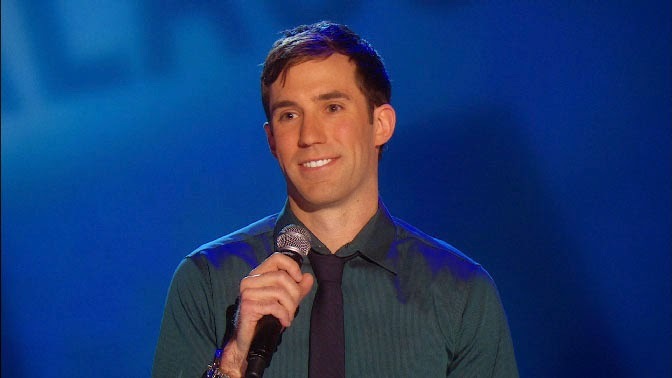 Michael Palascak, a product of the Chicago comedy scene, has an outstanding resume: Comedy Central’s Live at Gotham, The Tonight Show with Jay Leno, The Late Show with David Letterman, The Late Late Show with Craig Ferguson, Conan, a Comedy Central half hour special, and also an album titled Job Opening, which is available on iTunes. In this interview, Michael shares his story, his wisdom behind his writing process, and professional advice on preparing a TV set. Enjoy! 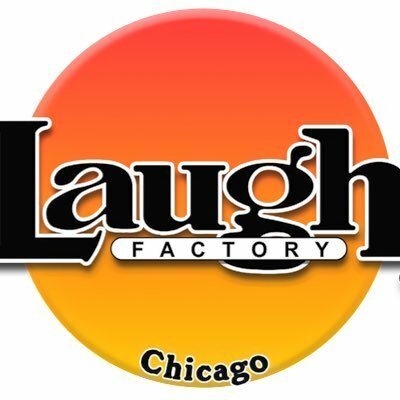 COMEDY OF CHICAGO: Where did you start? Who were your influences? 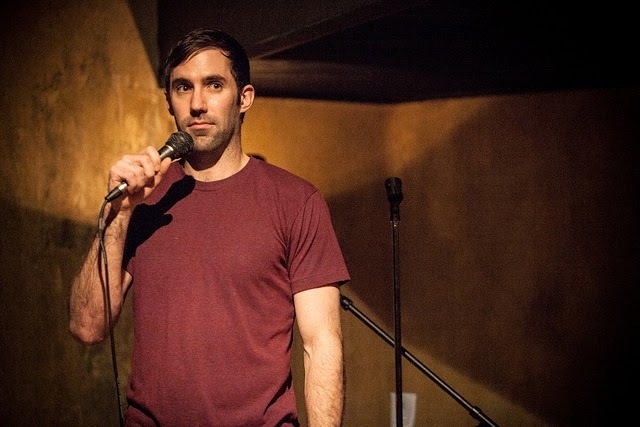 MICHAEL PALASCAK: When I started out, I would go to Barrel of Laughs and Riddles a lot, and that’s where I learned what stand up comedy was. I also really liked Mitch Hedberg and Jerry Seinfeld, and that influenced me. 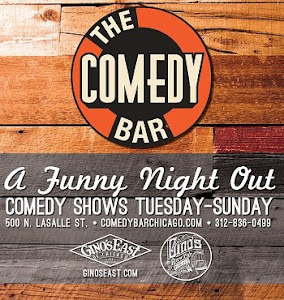 COC: Who were some of the comedians you came up with in the Chicago comedy scene? 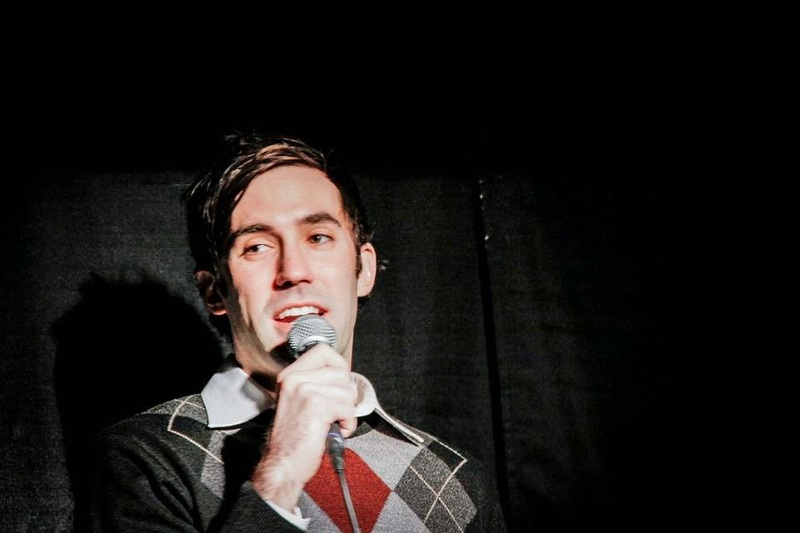 MP: I started out with Brian Hicks, Brian Aldridge, Denise Ramsden, Fritz Nothnagel, Todd Glover, Ken Schultz, and in 2004 when I started in the city, it was Hannibal (Buress), T.J. Miller, Kumail (Nanjiani), Jared Logan, Nick Vatterott, Andy Woodhull, Tommy Johnagin, Prescott Tolk, and Sean Flannery. COC: What major obstacles did you have to overcome throughout your comedic pursuit? MP: I think overcoming my own personal doubt was a big deal for me. Around 2007, I read and watched The Secret, and that helped me overcome my self doubt. It took me from, “I hope this works!” to “This is gonna work!” It made all the difference because I put in a lot of time to get better, and believing in myself helped me get that much better. COC: Your material is extremely tight. What are some ways to make jokes tighter? MP: Well, I would do a lot of open mics, so I think doing it a lot and seeing where people don’t laugh makes you get rid of those lines that don’t get laughs anymore. For me, it hurts my self esteem to not get a laugh over and over again, so I stop saying those words that don’t get laughs. COC: Is there such thing as writing a joke that works every single time? Or is that an unrealistic expectation? MP: When I started out, I thought I could write a joke that would work everywhere, really well, no matter what. Yet, everybody brings their own point of view to the joke. Therefore, some crowds will love it, and some won’t. I think the goal should be to appeal to what your sense of humor is, and hopefully people notice that. COC: Is there more to a joke than just the writing and the delivery? MP: I think a lot of things go into it: Where you are in the country, where you are in the show, where you are in the season...so many factors! 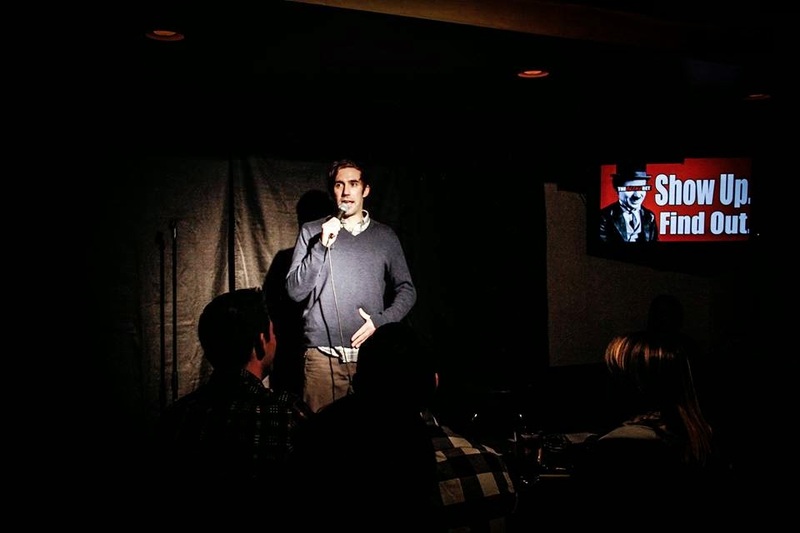 I always wished there was a joke that would work everywhere, all the time, but the cool part about stand up is having so many factors all come together, as opposed to just saying one thing and it working all the time. It can’t be that mathematical. COC: When you got your first TV opportunity, how did you decide on which material to do for that particular set? MP: There was a moment where I realized I wanted to have a solid 5-6 minutes to where I could push all the laughs together and really make an impact. From an originality standpoint, I felt I was different already because I was writing from who I was. There are some guys who get big laughs with jokes that have been done before, and I didn’t feel like I was doing that. So, I took all the jokes that I had, and tried to make a really tight set. I was working on that years before I had gotten on any of those TV appearances. COC: What did it feel like doing comedy on TV for the first time? MP: Well, my first time on TV was my Live at Gotham set, which wasn’t as nerve-racking because it was in a comedy club. So, it felt like a regular set, and there just happened to be cameras. Also, the host kept messing up my name, so I walked the stage like five times, because they had to keep redoing it. That made me relaxed. COC: How about your first late night TV set? MP: With The Tonight Show appearance, I had this feeling of where I worked on that set a TON, so much thought was put into it beforehand, and then all of a sudden I walked onto the stage with bleachers full of people who were loving everything I was saying! I didn’t realize how easy that part was going to be. And it’s not that you don’t earn the laughs, but the crowd is warmed up so well. It’s made for the people watching at home. COC: You have performed on Leno, Letterman, Ferguson, & Conan. Is there a favorite set out of all those appearances? MP: Hmm, I dunno… Leno was my first one so that was great. With my Letterman set, I was more relaxed, so I enjoyed that one... But honestly, I enjoyed all of them A LOT! COC: In your act, you make fun of living with and being supported by your parents. How long did you do this before you were able to move out on your own? 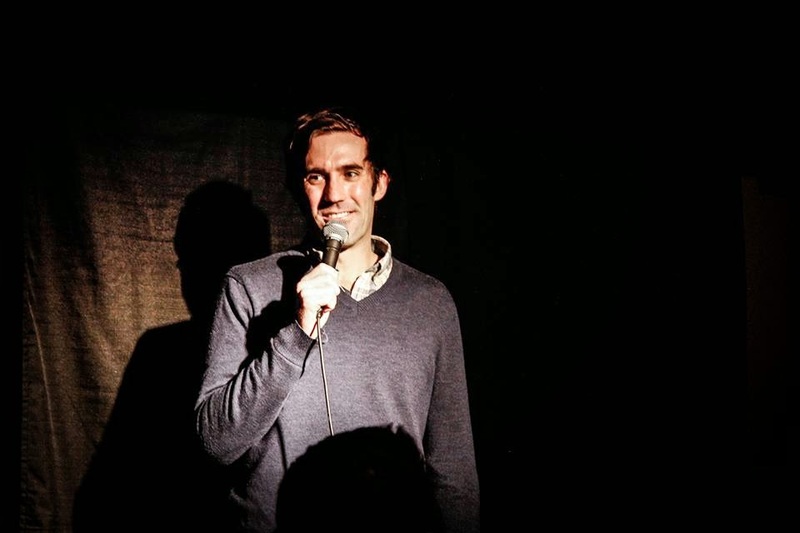 MP: My parents lived about 30 miles outside of Chicago, so it never made sense for me economically to get an apartment in the city while I was doing comedy in Chicago. So, I lived there until I moved to L.A. which wasn’t until I was almost 29. And even then, I still have roommates in L.A., and when I come to Chicago, I still stay with my parents. So, even though I moved out, I still go back and forth. COC: Was there pressure from your parents to move out by a certain time if comedy didn’t work out? MP: I was really lucky that my parents were behind me in the sense that they understood it takes a lot to do this in order to have the type of success to where you can support yourself. I don’t know if they were right or wrong, but I appreciated having help from my parents. I mean, I stayed in their house, I ate their food, and I drove their car. So, that definitely put pressure on myself because they were so nice, and I didn’t want them to keep doing that. COC: Did being supported by your parents make you an outcast compared to other comics who have to work to support their stand up? MP: No one ever made fun of me to my face. But also, I wasn’t really trying to be friends with anybody. If people wanted to be friends with me, I’d hang out with them, but I was SO busy taking acting classes and going to mics, and then driving all the way back home. So, I guess I was an outcast in the sense that I didn’t live in the city. But, all I ever wanted was to do stand up as a job, and so I was more focused on that than being friends with everybody. COC: When working on the same joke or bit over and over again, what is the key to keeping it fresh? MP: The biggest way to keeping it fresh is to realize that for the audience, it still may be the first time they’re hearing it. Also, trying out new parts within that joke. I might do a bunch of old stuff, but then I’ll get to a certain point and be like, “This is the part that I want to work on!” So, even though it may be the same set, the new part is what I look forward to. COC: Did it bother you to see the same faces in the crowd knowing they already heard the jokes you’re working on? MP: Yes, but the comedians I looked up to did jokes that we all heard before, and there were real people in the audience, so those people were more important than all the comedians. It was one of those things where it was like, “I’m not gonna win at open mic.” which is okay. Open mic is for whatever you choose it to be. In terms of trying to seek peoples’ approval, I got rid of that very early. I just wanted to work on stuff that I could do on TV. COC: How long is too long to be doing the same joke? Is there a shelf life? MP: I think there definitely is, but I ignore it most of the time. For me, it usually takes silence from the audience—a bunch of times—for me to quit doing a joke that’s simply based on the fact that I’ve had it a while. Like, 6 months is not a long time at all to be working on a joke! When it comes to doing comedy as a career, you’re gonna need a solid 45 minutes. So, I think you should keep every joke that works. Maybe, stop doing it for a little bit because it may not be as fun to do, but I think you can always keep a record of it. COC: So there are more reasons than just length of time to stop doing a joke? MP: I mean, I won’t do jokes that I’ve done a lot on TV. I won’t do stuff from my half hour anymore just because I’m trying to work on getting more material. But, I think the only reason to stop doing a joke is if you feel like it’s a cheap, easy laugh. If it’s a joke that you believe in and you feel that it’s about who you are, then I don’t think you ever have to kill it. You may not do it every week, but keep track of it because it definitely comes in handy. But, everybody writes differently. COC: Any advice on how to get an applause break? MP: I think a good applause break is one where the crowd is already laughing, so they’re applauding because they don’t know how to show more appreciation. I like to write a joke in a way to where the audience REALLY doesn’t expect it, so if people were already laughing, I’ll say something they didn’t expect even more, and that’s where I’d get an applause break. MP: Also, I think you get applause breaks because people get excited about something they really relate to—like the McDonald’s Monopoly joke I do—they’re laughing already, and then they experience this other emotion on top of that. Overall in my opinion, you’ll get an applause break when you’ve found a way to be so close to yourself on stage that the audience is really connected to what you’re doing. They’re appreciative of you being so open and vulnerable to whoever you are in that moment. If you get on stage and make people laugh, it’s going to feel good, no matter what level you’re at. You are doing the same thing that all the comedians you look up to have done and are still doing. So, if you’re doing that, then keep doing it, have fun, and just be yourself as much as you can. No one can ever do what you do. The sooner people embrace that “thing” that makes you special, the sooner you will find your own success.